Kathleen Kendall-Tackett, PhD, IBCLC, FAPA and Kerstin Uvnas-Moberg, MD, PhD examine how high intervention births put mental health at risk and how to help mothers who have them. Women who are given Pitocin in childbirth to augment or induce labor, often alongside other interventions, may unwittingly expose themselves to risk. Recent studies have found that both Pitocin and epidurals increase mothers’ risk of suffering anxiety and depression. Kroll-Desrosiers et al., 2017 examined whether administration of synthetic oxytocin during labor would lower the risk to women of postpartum mood disorders. They found that Pitocin significantly increased mothers’ risk of postpartum depression and anxiety. The researchers studied the effects of synthetic oxytocin (Pitocin) using a retrospective data set of women who were exposed (n=9,684) or not exposed (n=37,048) either during labor or immediately following their births. For women with a history of depression or anxiety, the risk of mood disorders increased by 36%. For women with no history, risk increased by 32%. This was true for women whether they had caesarean or vaginal births. The researchers were surprised by these findings. They had hypothesized that the “feel-good hormone” oxytocin would have had quite the opposite effect, that it would have had a protective effect on mothers’ mental health instead of making mothers more prone to depression. What accounts for their findings? Partly the difference between their expectation and what actually happened was due to the research design. Natural oxytocin and synthetic oxytocin behave differently. Natural oxytocin, which is made by the body, is released in pulses into the circulation and directly into the brain. Pitocin, the synthetic version of oxytocin, is delivered by drip into the circulation. It does not cross the blood-brain barrier and consequently has no effect on the central nervous system. That being the case, it does not, and cannot, have a positive effect on mental health. The use of Pitocin usually accompanies other birth interventions, particularly epidurals. In fact, it’s quite rare for someone to have a synthetic oxytocin drip without an epidural. The combination of synthetic oxytocin and an epidural often leads to a cascade of yet more interventions, including forceps delivery and caesarean section. That particular combination lowers the levels of naturally occurring oxytocin (Jonas et al., 2009), which puts mothers at higher risk for depressive symptoms, anxiety, and posttraumatic stress disorder (PTSD) (Kendall-Tackett, 2017). In our study of 6,410 new mothers, we found that women who had an epidural had higher depressive symptoms in the first year, even after controlling for all other birth interventions, history of depression and sexual assault, income, education, and parity (Kendall-Tackett, Cong, & Hale, 2015). Epidurals inhibit positive feelings at birth because they block nerves mediating pain, and also the Ferguson reflex (Jonas et al., 2008). This release of natural oxytocin, both into the circulation and directly into the brain when the baby’s head presses against the cervix and vaginal wall, protects maternal mental health. Epidurals inhibit that response. Pitocin and epidurals also increase the activity of the hypothalamic–pituitary–adrenal (HPA) axis (Handlin et al., 2009; Jonas et al., 2009). When the HPA axis is activated, anxiety and depression are higher. In contrast to Pitocin, naturally occurring oxytocin has all the good effects these researchers were hoping for—and more. It specifically downregulates the stress system, increases bonding and affiliation, and increases positive mood. A study of 63 primips at 2 days postpartum found that both breastfeeding and skin-to-skin contact were related to lower stress levels (Handlin et al., 2009). Breastfeeding lowered the stress hormones adrenocorticotropic hormone (ACTH) and cortisol (both part of the HPA axis), and skin-to-skin contact contributed to this effect. Suckling lowered ACTH, and the longer a mother had skin-to-skin contact with her baby, the lower her cortisol. In this way, oxytocin secretion caused by both skin-to-skin and suckling lowered both ACTH and cortisol. Oxytocin’s down regulation of the HPA axis lowers mothers’ risk of depression and anxiety. Breastfeeding has consistently been related to a lower risk of depression in mothers. These findings get tricky to interpret because depressed mothers are less likely to breastfeed. How do we know that it’s the breastfeeding that is having an influence? Prospective studies support the hypothesis that breastfeeding exerts an independent effect, lowering risk of depression by upregulating oxytocin and downregulating the stress and inflammatory response (Ahn & Corwin, 2015; Hahn-Holbrook et al., 2013; Kendall-Tackett, 2007). The bottom line is this: if oxytocin is generated naturally, i.e. released during birth, skin-to-skin contact, and breastfeeding, it lowers mothers’ risk of depression and anxiety. However, synthetic oxytocin does not create a similar effect and may lead to the type of high intervention birth that increases the risk of depression. Many mothers will have Pitocin and epidurals. Fortunately, a doula or other birth assistant can help in the following ways. Be alert for possible signs of depression. Download two simple screening tools. Know what resources are available for mothers in the community and online. 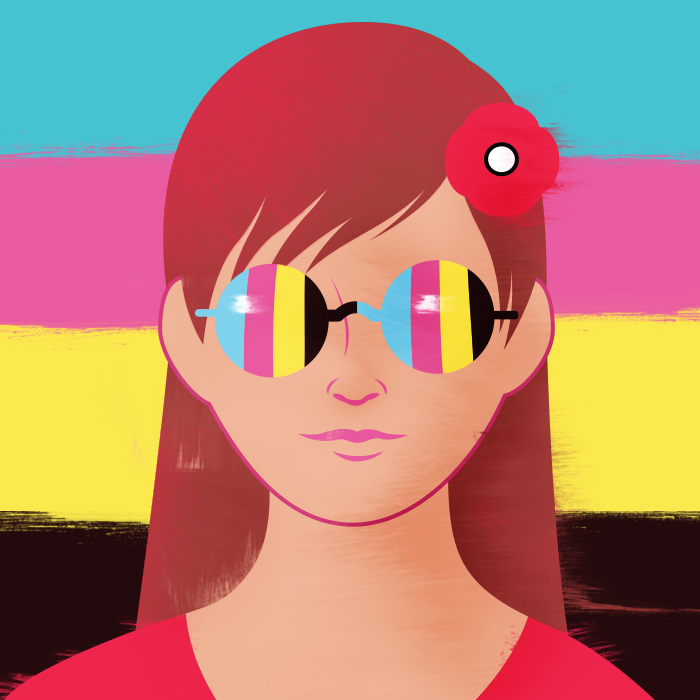 Generate a list. Help mothers tap into their own networks. When necessary, make a referral to a mental health provider. Continue being there. Mothers with good support in labor and postpartum have lower rates of depression. 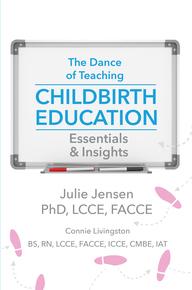 Encourage mothers to increase the time they spend in skin-to-skin contact with the baby. Ahn, S., & Corwin, E.J. (2015). The association between breastfeeding, the stress response, inflammation, and postpartum depression during postpartum period: Prospective cohort study. International Journal of Nursing Studies, 52, 1582-1590. Hahn-Holbrook, J., Haselton, M.G., Schetter, C.D., & Glynn, L.M. (2013). Does breastfeeding offer protection against maternal depressive symptomatology? A prospective study from pregnancy to 2 years after birth. Archives of Women’s Mental Health, 16, 411-422. Handlin, L., Jonas, W., Ransjö Arvidsson, A.B., Petersson, M., Uvnäs Moberg, K., & Nissen, E. (2009). Effect of sucking and skin-to-skin contact on maternal ACTH and cortisol levels during the second day postpartum. Influence of epidural analgesia and oxytocin in the perinatal period. Breastfeeding Medicine, 4(4), 207-220. Jonas, W., Johansson, L.M., Nissen, E., Ejdebäck, M., Ransjö Arvidsson, A.B., & Uvnäs Moberg, K. (2009). Effects of intrapartum oxytocin administration and epidural analgesia on the concentration of plasma oxytocin and prolactin, in response to suckling during the second day postpartum, Breastfeeding Medicine, 4(2), 71-82. Jonas, W., Wiklund, I., Nissen, E., Ransjö Arvidsson, A.B., & Uvnäs Moberg, K. (2008). Influence of oxytocin or epidural analgesia on personality profile in breastfeeding women: A comparative study. Archives of Women’s Mental Health, 11, 335-445. Kendall-Tackett, K.A. (2007). A new paradigm for depression in new mothers. International Breastfeeding Journal. 2:6, DOI: 10.1186/1746-4358-2-6. Kendall-Tackett, K. A., Cong, Z., & Hale, T. W. (2015). Birth interventions related to lower rates of exclusive breastfeeding and increased risk of postpartum depression in a large sample. Clinical Lactation, 6(3), 87-97. Kendall-Tackett, K.A. (2017). 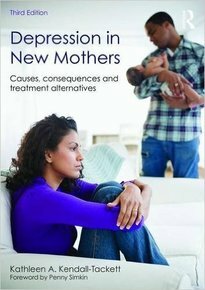 Depression in new mothers, 3rd Ed. Abington, UK: Routledge. Kroll-Desrosiers, A.R., Nephew, B.C., Babb, J.A., Guilarte-Walker, Y., Moore Simas, T., & Deligiannidis, K.M. (2017). Association of peripartum synthetic oxytocin administration and depressive and anxiety disorders within the first postpartum year. Depression & Anxiety, 34, 137-146. NEW Webinar February 2018. What You Should Know about Epidurals, Pitocin, and Other Birth Interventions: Impact on Breastfeeding and Perinatal Mental Health.